Conflictos Modernos » Archivo del blog » The modern Hybrid Warfare. al-Qaeda Central Asia MULTIFUNCTIONAL OR MULTISUBJECT WAR. PACIFIC ASIA THE CENTRIPETAL EFFECT OF THE MEANS OF INTERVENTION IN THE TOTAL WAR. THE DIPLOMACY IN THE TOTAL WAR. THE EXPOSED OR NEGLECTED FLANKS IN THE ENEMY DEPLOYMENT THE FUNCTIONAL OR POSITIONAL DISLOCATION OF THE ENEMY THE GATHERING OF INFORMATION. THE INDUCED SHOCK IN THE ENEMY THE MEANS OF INTERVENTION OF AN ALLIANCE OR A COUNTRY. THE TOTAL WAR. THE VULNERABILITIES OF THE ENEMY WARFARE IN THE INFORMATION AGE. The Multifunctional, Total or Multisubject Wars. Till now, the wars were making between big and small «nations». They were the only capable of generating a «will of defense». This made concrete in the Armed Forces and in the economy, the diplomacy and the people support of their societies. Looking for the defense of their strategic and national interests and their survival. A procedure or protocol existed for the war declaration and for the signature of the peace agreement. The one that was not respecting the honor procedure was considered to be infamous. And if he was turning out to be defeated, could wait for a severe punishment. President Roosevelt, on Monday, the 8th of December, 1941, at 12:30 pm. hour of Washington, in his speech before the American Congress assembled in Joint Session, and transmitted by radio to the nation, was declaring: «Yesterday was a day marked by the infamy…I request you declare the existence of a State of War between the United States of America and Germany, Italy, the Japanese Empire and all their Allies». And at the end were Hiroshima and Nagasaki. The contemporary wars lasted a few years. After which, exhausted the industrial capacity and the will of defense of the defeated nations, not necessarily invaded or occupied, these were accepting their defeat and the peace was signed. When the armistice or the peace conditions were too leonine and humiliating, they were originating new vital defense «impulses or take-offs» in the defeated people. Seeking to overcome and avenge the received damages and offenses. Those were the sure germ of a future war within a generation, measured in around 25 years. 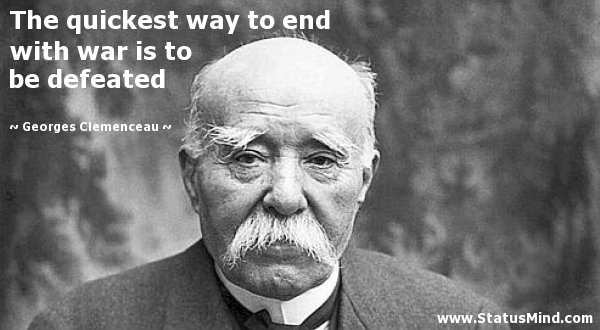 Just remember the treaty of Versailles or «Diktat» against Germany, signed on June 29, 1919, promoted by Georges Clemenceau, called the Tiger. Whose last payments referred to interests of the already liquidated principal debt, the reunified Germany has just done at the end of September, 2010, approximately 90 years after accepted. The threat of the use of the atomic weapon in the war between the industrial powers, removed indefinitely the historical and recurrent danger of a war of interests of any class between them. The civil and military leaders of all of them, have exhibited throughout more than 65 years an exquisite tact, supported by the nationals diplomacy and economy, in the international relations and in the resolution of the raised conflicts. No «minor» relative question was deserving to assume the risk of an uncertain, costly nuclear warfare and without clear «victors». In any case, the big hegemonic powers or the principal ones in a strategic zone, were solving regionally his ideological and of interests fighting. And they were doing it by means of regionally limited sectoral wars. Cuban «internationalists» Forces supporting Ethiopia against Somalia in 1977. Where were fighting their partners and like-minded, local, not atomic and subsidiary nations, even out of their strategic natural zone. There we have the case of Angola, Cuba and South Africa, after the decolonization of the first one. Also the fight in the Horn of Africa between Mengistu Haile Mariam’s Ethiopia, Cuba and Siad Barre’s Somalia. The latter’s overthrow, after his defeat in the war for getting the Ogaden Desert in 1991, precipitated Somalia in the chaos in which still is. And we have the Israel and the Arabic bordering countries case, which threaten her from time to time with her elimination and with throwing to the sea the surviving Jews. The modern communications have rushed, marking character, into the contemporary wars: the wireless or waves of wide spectrum; the road networks and the diverse engine vehicles. A special challenge, which appears in all the coercive conflicts, not necessarily armed in all his phases, is the so called cybernetic war. Made concrete in the attacks to the «enemy» across the universal wireless communications network. These aggression are capable of penetrating the first and second levels of security lines, most known or common. And to commit an outrage against the databases and the processes of the normal computers of companies, individuals and institutions. Until a few years ago, only the developed states had access to this vanguard technology. And this also connects the 3th and 4th generations wars: the employment of the cyberattacks is not already only in hands of the big powers. As example, driving mad the computers of the hostile plants of enrichment of the uranium 235. Today, small nations and groups of fanned rebels or of conceited little rascals, with certain knowledge and lean resources, can realize successfully cybernetic assaults at certain level. 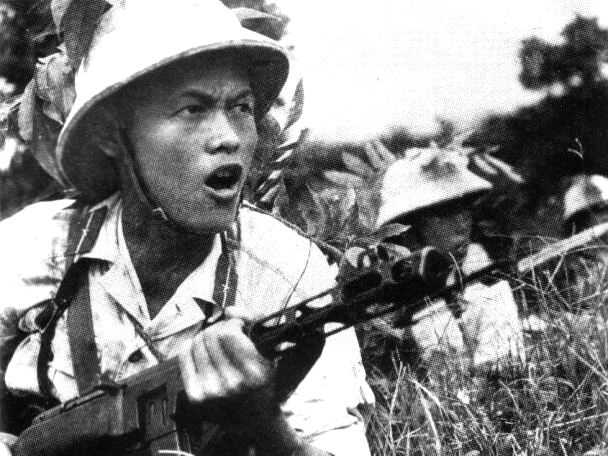 North Vietnameses regular Forces equiped with Soviet design’s PPSh-41 sub machineguns. In the last decades, the wars are showing in very asymmetric levels of means and efforts confronted. So much is so, that the Americans call them wars of 4th generation or asymmetric wars. But they are nothing more than the old guerrilla wars of the History. And, often also, of national liberation. Let’s not forget that always the rebel and insolent enemy is despised. He is judged by the laws of armed sedition and attack against the National Security. From May, 1808 Napoleon so had in consideration the Spanish. Or the European powers to the nascent nations in Africa and Asia, after the World War II, from Algeria up to Indonesia, passing to Angola (the Portuguese were saying that she was a national province) and Vietnam. Birth and Situation of The Hybrid Warfare. The First Generation of wars would be marked by the development and consolidation of the State concept. The wars of The Second Generation would be characterized by the commitment of the societies in the Cause or the Mother land. His model is the French Revolution; there appear the manufacturer and transport revolutions, which made possible the extension of the operations theater, not so much the maneuvers speed, and they extended the spectrum of the objectives. In them were used literally armies of masses, where the shock had great importance and independently that the cavalry or the infantry was the principal weapon. In the wars of Third Generation, at the end of the 19th century and in the 20th, the modern technology supports and modifies the actions. And the factor that contributes to the definition of the wars of Fourth generation is the globalization and the return to the man as decisive actor. 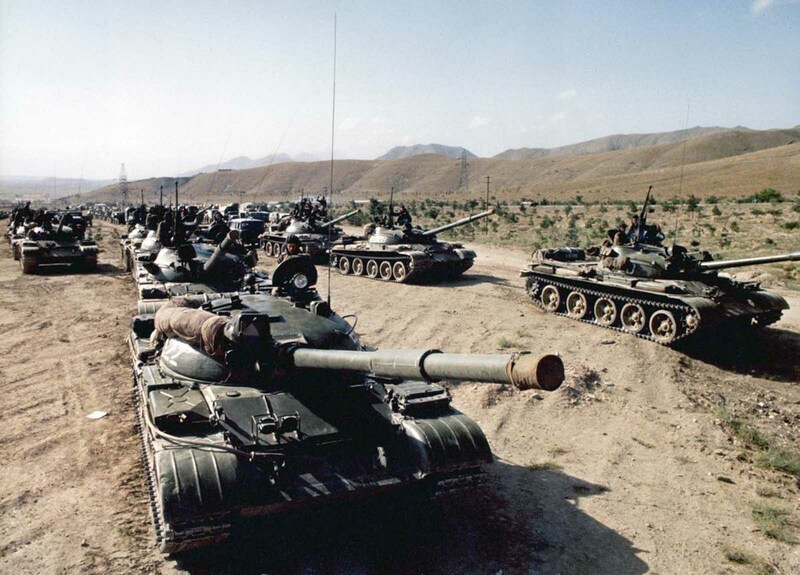 The Soviet tanks fight against an evasive and fleeting irregular enemy in Afghanistan. Who will win? Russian Now, closing the historical and definer curl, the wars of V generation are called hybrid or multi functional wars, which, really, always have existed. With the major or minor participation of each one of the «available means of intervention» (Foreign Relations, regular and irregular Armed Forces, Economy, Cybernetics, etc) in the social group, to obtain the «functions of intervention» search for. Forming a “means” mix, adapted to all situations and confrontation theaters. Not for nominating nowadays with an exotic and new word, preferably foreign, one makes this way a «mean or a function of intervention» fresh and promising. The problem is that the ignorance of the history, still the recent one, impoverishes the new concepts, ideas and situations of conflict. Without winning in application, efficiency and cognitive capacity with it. With this, only it falls or repeats the previous history, returning to learn it. And that, as in a spiral screw, only changes the phenomenon temporal «plane of execution«. Where are kept safe and now partly secret, the different «essential parameters» of the phenomena of the conflicts and fights. And the Russians from his successful, but very short experience there, praise nowadays the employment of a «center of coordinating control» in each operations theater. That would be entrusted to coordinate, in a convergent and global effort, the specific means at the disposal of the command of the theater. Every «mean of intervention» will be specialized here depending on the tasks to completing. Russian Forces fight in Syria in support of al-Assad’s regime. The tasks to coordinate in the theater, to stimulate the policies adapted to the interests of Russia and to the coexistence and the peace, would be: of military ordinary or special character and of advice; diplomatics; of cooperation with civil administrations and governmental forces or others present; of reconstruction and support of the population. Here would intervene the diplomats, civil engineers, technical personnel of administration, educators, units of rural policemen, economic advisers and sociologists. Forming mixed «functional packages» to integrate in the » coordinating center » of intervention and collaboration. To all that the Russians call the Valery Guerasimov’s doctrine. Though it is not more than a collection of policies, trends and actions of before and now. 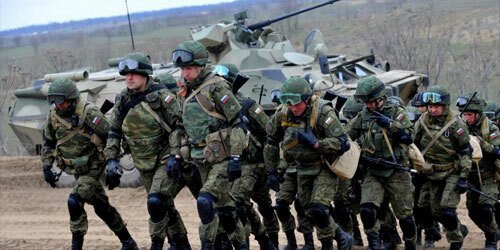 The military forces will be destined to the regular operations of assault and defense. Included the custody of sensitive aims, so much personal and industrial groups, as of structure and infrastructure; the establishment and defense of control positions, both fixed and itinerant; the assault to the bases, concentrations and movements of important enemy forces; the combat and/or recognnoissance patrolling that covers the territory in hands or threatened by the irregulars and the occupation of enemy taken positions. The American multi subject doctrine is contained in the concept, the regulations and the updates of the Modern Air Land Battle. And they apply in his politics and actions the same «means of intervention» that all the great powers. The general James Mattis, Secretary of Defense until Thursday, the 20th of December, 2018, in which it was fulfilled the glass of his discrepancies with Trump. For his not consulted order of retreat of the contingent of 2 thousand American soldiers in Syria. Mattis explained in his letter of resignation, in a condensed, easy and deep way the ideas of the Pentagon on the hybrid or multifunctional war. In order that Trump could understand it. «Our strength is joined to the strength of our system of alliances. And, in similar form, we must be unequivocal and decisive with the countries which interests and trends are opposite or are in tension with ours«. Almost all the «means of intervention» of the State, used to obtain his national aims, already were present in the panoply of means at his disposition, a long before this new name of the Hybrid War. The «functions of intervention» were developed by «means» adapted to the real possibilities of his epoch. And they were obtaining the looked aims, though they were very specific. There we have the actions of the SAS (Special Air Service) as «special forces of punctual intervention with limited objectives” in the enemy rearguard. Fighting against this one and to support and help the local «forces of resistance to the occupant». In the USA we have to the SEALs, the Rangers, the Delta force and the Special Forces, among others. In Germany is the GSG 9 group. In Australia and New Zealand they have the same name that the British corps. The strategic and tactical needs of the war and the functions of the «means of intervention» are slightly variable. And his variability is a function of the improvements in general training, scope, speed, capacity of shock and fire on the enemy, communications between «means», protection of these, etc. That offer the successive technologies applicable to the «means». And all the colonial metropolis, fighting in the wars of liberation raised after the World War II, developed with variables degree and fortune, methods and policies of civil development, of link the overseas natives to the nation, of «gaining the hearts and the minds» of the autochthonous population. The pompously so called fourth generation wars are the counterinsurgency wars or guerrilla warfare or irregular wars or armed revolts or liberation wars or organized banditry, which always have existed, coexisting with the conventional variants of warfare. They are those that the USA has lost or not gained lately: Vietnam, The Lebanon (peace disembarkation of “marines”, then demolished in their barrack) and Somalia (the uncontrollable and unforeseeable wasp’s nest of «all against all» by the local lords of the war and the Islamic militias). They are uneven wars (they call them now «asymmetrical warfare») against an enemy of lower technological military level, relative to the regular enemy forces, always rooted in the own or occupied civil population and slight militarily intense but very extensive in the space and the time. The wars against the armed irregular are by its Nature long, painful and difficult. Its prolong character originates from the need that a popular force, departing almost from nothing, develops and spreads. Managing to moral or militarily defeat a regular own or of occupation army. The difficulty and the cruel evil arise from the high civil component that takes part in them. They are wars located in the home courtyard, in the own or occupied rear. It is necessary, therefore, to avoid the prolongation of the conflict, which is mining the conviction of the own forces and allowing that the enemy should spread, strengthen and prevail.